Not far inside the park boundary is a side road heading north called Upper Muley Twist Road. 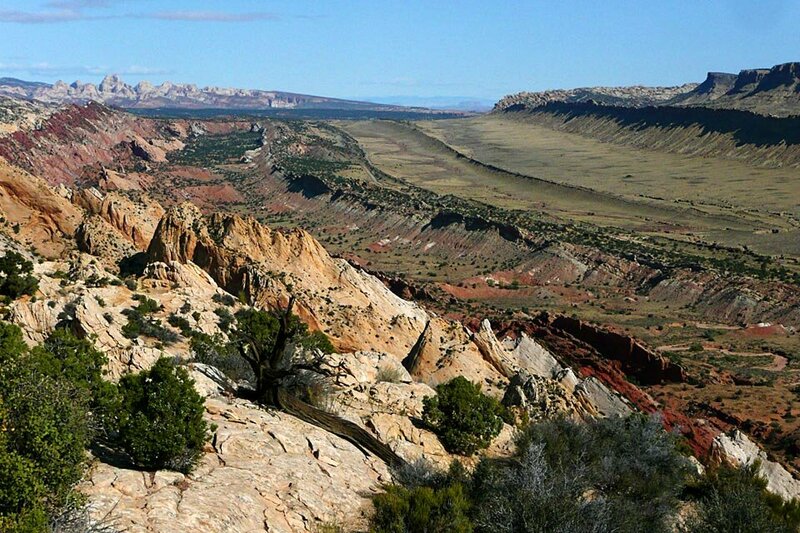 Recommended for 4WD vehicles only, the road passes Peek-a-boo Arch and ends after three miles where there are hiking trails to Strike Valley Overlook and Upper Muley Twist Canyon. This photo of the Waterpocket Fold was taken from Strike Valley Overlook, a short hike from the end of the four wheel drive road.